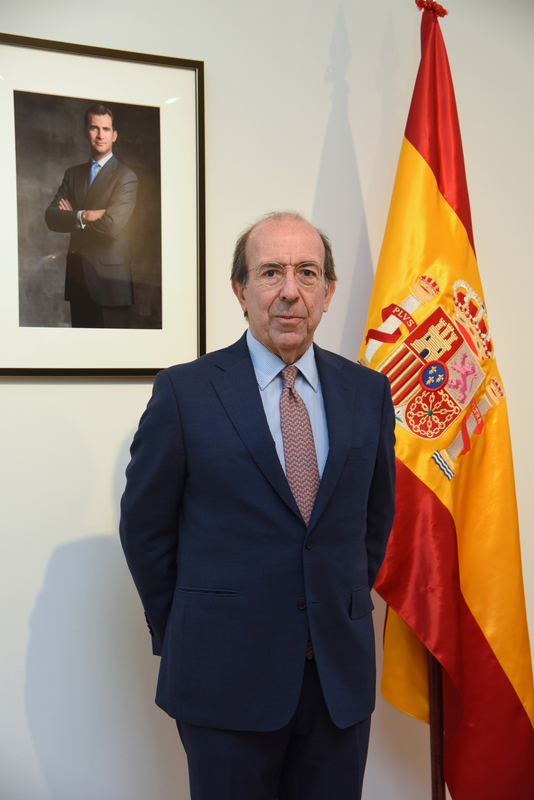 At 66 years of age, Spain’s Ambassador to Japan, Gonzalo de Benito, shows no signs of slowing down. He has official and other duties — like this interview with The Japan Times — for starters. There are the piles of books around his office marked for reading. A running and walking enthusiast, he needs to keep up his exercise routine, while family time helps keep him balanced. And in 2018, Japan and Spain are celebrating 150 years of formal diplomatic relations that were first established with the signing of the Spanish-Japanese Friendship, Commerce and Navigation Treaty on Nov. 12, 1868. 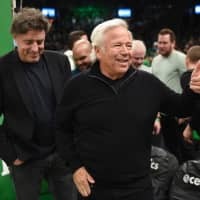 “Of course, relations between our countries go back longer,” he said , a history buff with an impressive recall of dates and events, citing the arrival of missionary Saint Francisco Xavier in Kyushu in 1549. Considering himself somewhat of a career diplomat, he said, “It was always my wish to enter the diplomatic service because of family tradition in the public service.” De Benito believes the foreign service is one of the best ways to serve one’s country and fellow nationals. Stressing the significance of a hands-on approach, however, he insists that working with Spain-Japan friendship associations, maintaining official sister-city relationships, of which there are 11, and meeting ordinary people to educate them about Spain, is one of the most important aspects of his current job. “What is important besides the work that we do at the government level; at the ministries and embassies, is to make Spain better known to regular citizens. I think this is my main task and duty since coming to Japan,” he said. Traveling around the country about every two weeks, he revels in grass-roots contact. 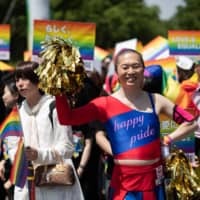 It seems such attempts are paying off, with Japan National Tourism Office (JNTO) figures and Spanish figures show roughly 601,000 Japanese heading to Spain in 2017, and about 99,000 Spanish visiting Japan. These figures show an increase of about 4 percent traveling to Spain, and 8 percent traveling to Japan compared to 2016. While a new direct flight from Tokyo to Madrid via Iberia Airlines is certainly a contributing factor, de Benito feels that Japanese tourists appreciate the diversity Spain has to offer. Yet de Benito did not make it to this country until 2013, assisting then-Prime Minister Mariano Rajoy as secretary of state for foreign affairs. Spain and Japan issued the Partnership for Peace, Growth and Innovation, a statement clarifying joint guidelines for deepening bilateral relations under the priorities of politics, the economy, science, culture and people-to-people relations. A visit by Crown Prince Naruhito to Madrid earlier in June 2013 made an indelible impression on de Benito. The prince opened an exhibition held at the Conde Duque’s Cultural Center on the March 11, 2011, earthquake, tsunami and nuclear disaster, and de Benito was impressed by the photographs he saw in the exhibition and what he called the “strength of Japanese character” despite the harrowing subject matter. “The photographs showed a real resilience and strength in confronting difficult moments. 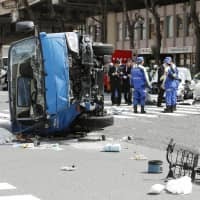 The dignity of the people and their determination to survive and overcome such difficulty really showed me the strong personality of Japan, the strength of the Japanese character,” de Benito said. Also giving him insight into the Japanese is a philosophical tome he is currently reading, “Del Nuevo al Viejo Mundo” (From the new to the old world), a book written by constitutional lawyer professor Luis Diez del Corral who traveled to Asia in 1963. De Benito says its author is an enlightened traveler with a deep knowledge of literature and art. “I find that the author is a precise and very bright observer. His chapters on Japan are wonderful,” said de Benito. “There’s a chapter called ‘Nature and Humanism’ and I think this summarizes some (particular) aspects of the Japanese character. Respect, integration with nature and the consideration that the people give each other,” he said. “I’ve been very fortunate with my posting here in Japan,” continued de Benito. A visit by Spain’s King Felipe VI and Queen Letizia in 2017 to Shizuoka Prefecture is a particular highlight. The pair were in Japan to view a historical clock given to feudal shogun Tokugawa Ieyasu by the then-king of Spain Felipe III in the early 1600s. “Very humble Japanese villagers from the fishing village of Onjuku in Chiba Prefecture rescued about 200 crew members of a Spanish ship that ran aground off the coast in 1609 traveling from the Philippines to Mexico,” the ambassador explained. “They took the sailors in, gave them support and later another ship so the sailors could continue their journey.” Made in 1581, the clock, made of copper and gold and designated as an important cultural property, was given by the Spanish king to commemorate his thanks. Kept in Shizuoka’s Kunozan Toshogu Shrine, it is the oldest clock in Japan. The episode, said de Benito, is another demonstration of the depth of the ties between Spain and his current adopted country. 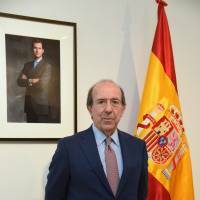 Born in Madrid, Gonzalo de Benito first visited Japan in 2013 as secretary of state for foreign affairs (Ministry of Foreign Affairs and Cooperation), as part of a delegation accompanying then-Prime Minister Mariano Rajoy. He visited this country again in 2014 for meetings with his counterparts in the foreign ministry before being appointed as ambassador to Japan later that year. His family also has a history of involvement in public service; diplomacy and serving in the public realm are in de Benito’s blood. He gained a bachelor’s in law from Complutense University of Madrid before later graduating with a diploma of international studies from the Madrid Diplomatic School. Commencing his diplomatic career in 1979, de Benito was posted in Luxembourg, Lille and Houston before serving as ambassador to Peru, Switzerland and the United Arab Emirates. An avid reader, history buff and enthusiastic runner, de Benito also enjoys spending time with his wife and three daughters, and traveling. The Big Questions is a Monday interview series showcasing prominent figures who have a strong connection to Japan.